Patna : Bihar Chief Minister Nitish Kumar had recently made his state liquor free. On Tuesday (September 13) he shared about how happy and satisfied he is with his decision. "The happiness and satisfaction that I achieved from banning alcohol were something I never achieved before," Bihar Chief Minister Nitish Kumar said during a rally. # Nitish Kumar registered his satisfaction over banning alcohol in Bihar. # Recently, he had claimed that the ban imposed on the sale of liquor by his government has checked the incidence of domestic violence in the state and expressed hope it will help improve the purchasing power of the people. 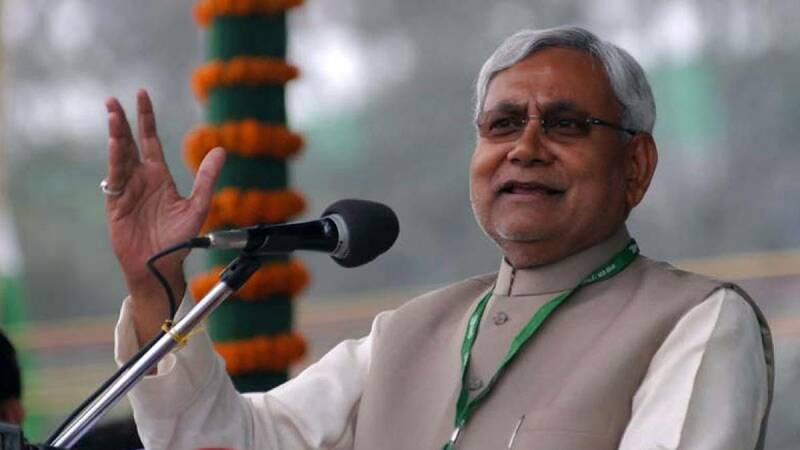 # “There is no political goal behind the decision to impose a ban on the sale of liquor in Bihar, but to bring in social reform,” Nitish Kumar had said. # After the ban, Bihar government has faced a loss of Rs 5000 (approx.) from the taxes it used to earn via liquor. # “Around Rs 5,000 crore revenue was being generated on account of excise/value added tax (VAT), but we preferred to forgo it for a good social cause,” the Bihar chief minister claimed assuring that the revenue loss would be compensated.